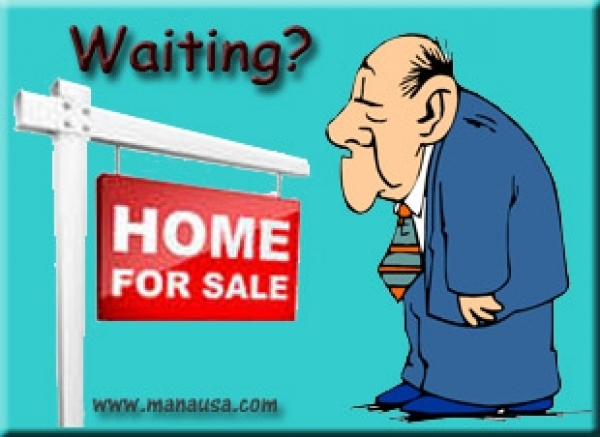 So what do you do when you have had your home on the market and nobody appears to want it? My advice: This requires a meeting at the real estate broker's office. Not a meeting with a real estate agent, but a meeting with the person running the process for selling the home. 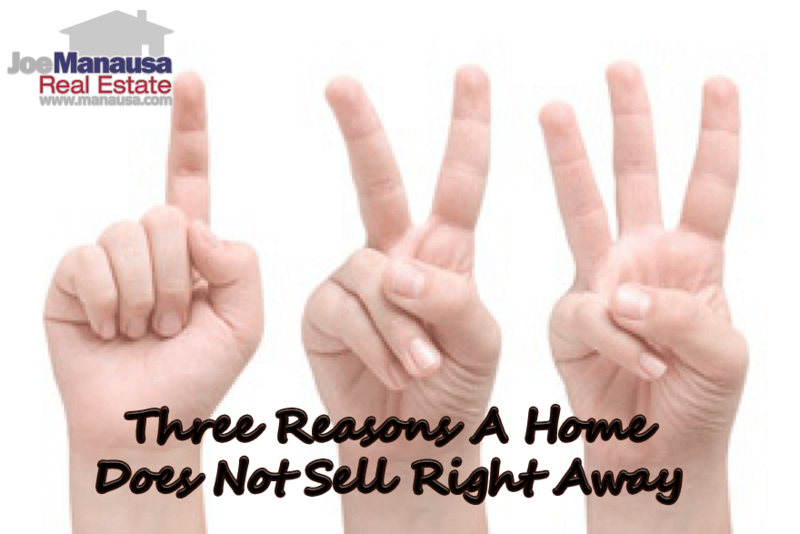 Despite what your emotion-based instincts will be screaming at you, there are only three reasons that a home does not sell. Low liquidity - Wikipedia tells us that liquidity is about how big the trade-off is between the speed of the sale and the price a commodity can be sold for. In a high liquidity market, the trade-off is very low (perhaps a 1% lower asking price), whereas the opposite is true in a low liquidity market. In practice, the high end of the market is always going to be low-liquidity, it’s just the definition of “high end” that varies. In other words, the absolute most expensive home in your area really only has one buyer. Generally speaking, except for the top 1-2% of the market, low liquidity is not the reason a home has not sold, though I often hear sellers say “the market is slow.” This is entirely wrong. 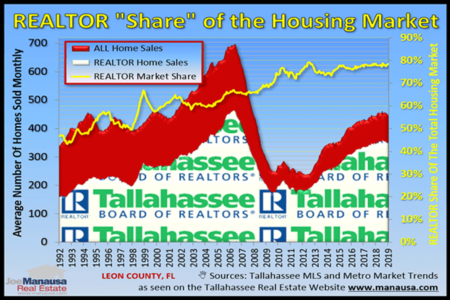 In a market with ample liquidity (does not have to be high liquidity, “enough” will do), it is possible for a real estate professional to analyze market activity and then advise a homeowner of a accurate range of values for a home. If the homeowner follows this advice and prices correctly, the home will sell. If you ever find yourself trying to sell a home and it hasn’t sold within a few weeks, just ask yourself “is my home’s value among the top 1% in our area?” If the answer is “no,” then you can eliminate low liquidity as a potential reason the home has not sold. In Tallahassee, the top 1% starts at about $750K at the time this article was written. Poor marketing - If a home is for sale at a great price and yet nobody has offered to buy it within the first few weeks that it hit the market, then the problem is likely with the marketing team hired to sell the home. After all, if the home is such a good deal, wouldn’t somebody want it? Maybe the agent forgot to syndicate the listing (yes, this happens regularly). Perhaps the pictures used in the MLS don’t do it justice and make the home worth a lot less than it really is. Massive marketing is needed to get the word out that there is a great deal available. Homeowners who find themselves in this position should contact the broker of the real estate company they hired to sell their home and demand an in-person meeting. They should ask to see evidence that professional photography has been used, that the home is actively being marketed in the MLS, syndicated across thousands of websites, and and presently marketed daily on social media. If all of this is the case, then the home is likely reaching a broad enough market to be sold, and thus poor marketing is not the reason the home has not sold. Price - If a poorly priced home is listed for sale, it WILL NOT sell to the person most likely to pay top dollar for the home. That person understands value in the neighborhood and price range for which he plans to buy, so when an overpriced property hits the market, he knows to let it fester for a while. Homeowners who overprice their homes are marketing to the WRONG group of buyers, and these buyers will not be impressed with the home. One has to remember that 94% of the potential buyers for a home can be reached within four days of hitting the market, and in a digital world, it is the PRICE that determines which buyers will first take interest in a home. Most buyers who are ready to make a purchase decision have one or more saved searches online, and all of those saved searches are constrained by price. So imagine a buyer has a saved search, wanting all homes for sale priced from $400K to $500K in a certain area of town. Now what if a homeowner who would be very happy to get $480K for their home hits the market today at $510K, will this home appear in the search?). Digital marketing is really a big game changer, as price eliminates homeowners from the searches of the very people who would fight for the right to purchase their home. Digital has made the process of selling a home move much faster, so if a home has been listed for sale for several weeks in a market with ample liquidity using a solid marketing plan, then the reason it has not sold is that the market has rejected the price. Homeowners in this situation need to immediately lower the asking price for the home to an amount that will generate multiple buyers. Property Conditions Do Not Stop A Home From Selling. If the home's price had been adjusted for the conditions listed above, then this buyer likely WOULD NOT have seen the house (it was below this buyer's budget), but the buyers who would have seen it would have loved it. Conditions do not stop a home from selling ... but homeowners who do not address the conditions of a home through price or another remedy will fail to sell. And this situation merely demonstrates on reason that sellers overprice their homes. 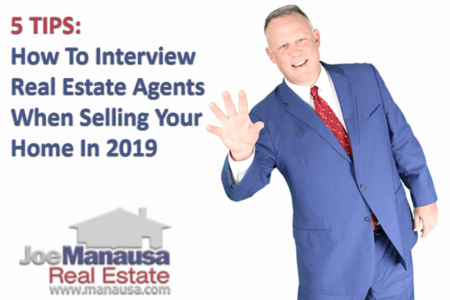 Whether you need to sell your home now or even if you are not so sure you want to move, we are extending a no-strings-attached offer to sit down with you to discuss some of the things you can do to get MORE MONEY for your home. We will share our 30 years of experience as tips that you can follow to prepare to sell your home, and we can help you put together the perfect pre-marketing plan so that your home hits the market with great fanfare. Simply tell us how to contact you and we’ll be in touch right away to schedule a time to meet and help you evaluate your options and ultimately optimize your results.